My pc did recognize the cpu, but it didnt boot and would restart itself 10seconds after being turned on. Can you enter in BIOS with new CPU? 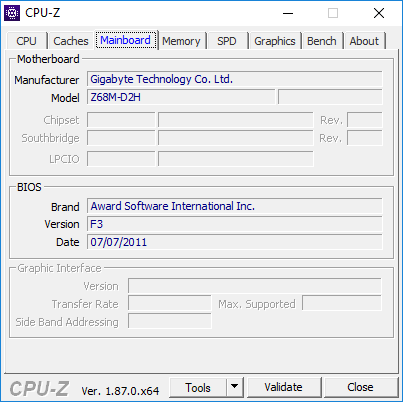 (03-03-2019, 10:05 AM)DeathBringer Wrote: [ -> ] Post screenshots of first (CPU) & third (Mainboard) tabs of CPU-Z with supported CPU. 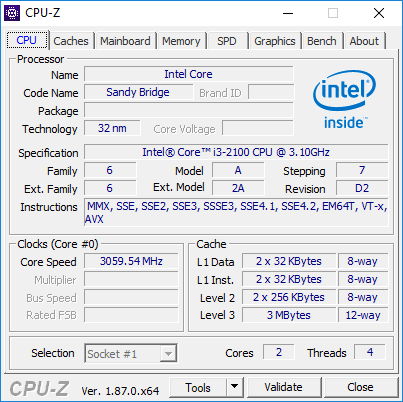 (03-03-2019, 10:05 AM)DeathBringer Wrote: [ -> ] Can you enter in BIOS with new CPU? Show a photo of the screen with this information. BTW: data:image/png;base64 is not supported! (03-03-2019, 12:16 PM)DeathBringer Wrote: [ -> ] data:image/png;base64 is not supported! it showed me a preview so i imagined it wouldhave worked if i just ctrl v'd the pictures. You need to update BIOS to version F6! i dont think it will make my cpu compatible, but ill try. (03-03-2019, 12:44 PM)DeathBringer Wrote: [ -> ] You need to update BIOS to version F6!